My daughter is, as I write, shouting at snowflakes. Loudly, as they whirl around outside, on a bitterly cold and windy March day. Hands raised, fingers tracing the snowflakes path as they tumble to the ground. Transforming her world. Well, the garden. And, for a little girl with Down’s syndrome who, as yet, has only a few words in her vocabulary, snowflakes make her shout! She’s not the only one who shouts at snowflakes. Beautiful, intricate detail. Delightful. So exciting! Can’t get to work. Social plans cancelled. Schools shut. Wish it would go away. Mesmerising. Wide eyed and wondering “what is this magical show taking place outside every window?” Joyfully in the moment. This moment. Now. It’s snowing. And it’s beautiful….to her. A Narnian landscape. Each one unique. Individual. Intricate designs. No two the same. Small, tiny even, yet, collectively, they transform the landscape. A word now used to insult and/or define an entire group of people. A generation. We seem to be a society that is often intent on name calling, labeling, closing down the voices of those we disagree with or fear. Silencing them without ever trying to understand them. Holding fast to prejudiced views and opinions. Discriminating. A society that says it is diverse, yet one that seeks to silence that which it fears or does not understand. My daughter, who has Down’s syndrome, shouts at snowflakes. Not because she is angry with them but because she is captivated by them. Transfixed. They are of great value to her. She cannot take her eyes off them. There was no snow when she was born, 6 or so years ago. Instead, the rich warmth of autumn leaves swirled around the ambulance door as nurses whisked her off into the Neo Natal Intensive care unit, her life in the balance. Autumn colours are magnificent too. Vibrant. I wish now I had taken more time to notice them. Instead, I chose to look away and stared unblinkingly at grey skies. Her life was fragile. Our life was disrupted. Plans cancelled. Couldn’t work. Costly. Painful. For a while I was angry. I may have even shouted. The words Down’s syndrome were, to me, and to my shame, ugly words. I hated them. Prejudice I didn’t know I had ran so very deep. I could barely even say them. Until, that is, a nurse came in and said just four words to me. Four words that I so badly needed to hear but that no one (other than family) had said. Words that had been said about her older sister the moment she was born. Hazel was nearly a week old before I heard them. Words are so powerful. Transformative. Life changing. Life enriching. Today is World Down Syndrome Day. Today, all we really want is for the outdated and discriminatory language surrounding Down’s syndrome to change. Language that breeds fear and uncertainty changed into language that brings hope and understanding. Using different words. Let’s ditch the damaging discourse on Down’s syndrome. Babies, children, young people, adults with Down’s syndrome are worthy. They are of great worth, as are you and I. They are people, not defects. They are not a ‘risk’ or a ‘problem’ or even ‘horrible’- as I recently heard of them being described by someone involved with pre-natal screening. Change the narrative. Down’s syndrome is not something to fear. To avoid, or get rid of. A person with Down’s syndrome is so much more than a medical list of ‘problems’. We miss out on the joy when we focus solely on the difference, the disruption to our plans, the cost. That one extra chromosome. Cost, financial burden to the state….all words that have been tossed in the direction of people like me – parents of children with Down’s syndrome. As if these words have anything to do with a person’s worth? I see a change in the landscape. A group of mums, some of whom I am proud to know as friends, have caused a bit of a snow storm themselves this week. They have shown, in one short, beautiful (and now viral) video that “Down’s syndrome” are not ugly words. They are words of great and extraordinary worth. Words that speak of love and joy and a life worth living. These women and their unique and beautiful children are collectively transforming the landscape. And it is a stunning landscape. 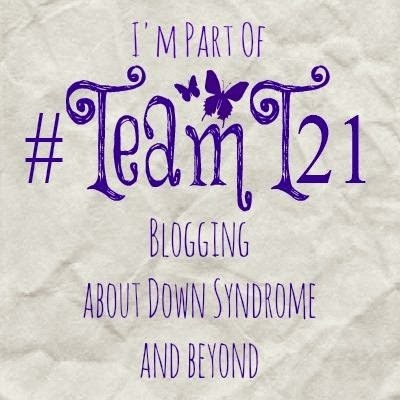 Categories: Acceptance, Down Syndrome, Down's Syndrome, Joy, Prenatal Testing, Trisomy 21, Uncategorized, World Down Syndrome Day | Tags: #dontscreenusout, #equallyvalued, #NIPT, #snowflake, #WDSD18, #wouldntchangeathing | Permalink.